It’s almost time to celebrate America’s independence (and the fact that we get a day off in the middle of the week), we've got fireworks, barbecues, parties and more! Gulfstream Park will host Freedom Fest on Wednesday, July 4. The celebration will feature an array of entertainment including live racing, family activities, giveaways, entertainment and a trackside Fireworks show. Racing fans can enjoy world-class Thoroughbred racing all afternoon including a Fan Grab Giveaway. The pavilion at Pegasus Park will be serving burgers and other tempting treats alongside the 110’ statue with a free show including a fire-breathing dragon, face painting, and more. The Casino featuring 750 Vegas-style slots will be open from 9am to 3am. Freedom Fest Party | 6 p.m. – 10 p.m.
Fireworks Show | 9:00 p.m. The Dutch will kick-off its Annual BBQ Series on July 4th with the theme “Celebrating Independence Day, the Puerto Rican Way”. Hosted by The Dutch’s Chef Mario Alegre and featuring Guest Chef Xavier Torres from Drunken Dragon, the event will be from 1PM to 6PM. Guests can enjoy family style spread with freshly grilled meats, sides, and all the fixins for only $40 per person (excluding tax and gratuity). The Dutch is located inside W South Beach Hotel & Residences, 2201 Collins Avenue, in Miami Beach, Florida, 33139. Breakfast is served daily from 7AM to 11:30AM; Lunch is served daily from noon to 4PM; Dinner is served from 6:30PM to 11:30PM, Sunday – Wednesday, and from 6:30PM to midnight, Thursday – Saturday. The bakery counter is open from 7:30AM to 4PM. Rusty Pelican, known for its dazzling waterfront views, is inviting diners to join them for their top floor Fourth of July celebration. For $65 per adult (including one welcome drink), and $25 per child, enjoy an evening of live entertainment, dancing, dining and party favors with the most outstanding views of Miami’s fireworks over Biscayne Bay. From 7PM to 10PM, indulge in a lavish dinner buffet including Grilled Mahi-Mahi with mango and papaya salsa; St. Louis BBQ Ribs with whiskey barbecue sauce; Garlic Crusted Prime Rib with balsamic chimichurri; Homemade Mac & Cheese with aged cheddar, smoked gouda and grated parmesan; and decadent desserts including a Homemade Mini Apple Pie made with Granny Smith apples and brandy and Key Biscayne Pie with a graham cracker crumb crust and key lime curd. Atton Brickell Miami will be serving up their very own delicious grilled BBQ by the pool with dishes like the famous ATTON Burger, Black Angus Hot Dogs, Smoked Pulled Pork Sandwich, New York Steak with Vegetables, BBQ Wings, and specialty cocktails at Atton’s Vista rooftop bar. Come out and celebrate Fourth of July the right way in downtown at Atton Brickell Miami, where guests can enjoy amazing food, drinks and views of some amazing downtown fireworks! Facing Biscayne Bay, Stiltsville Fish Bar, is the perfect spot to enjoy the 4th of July fireworks! 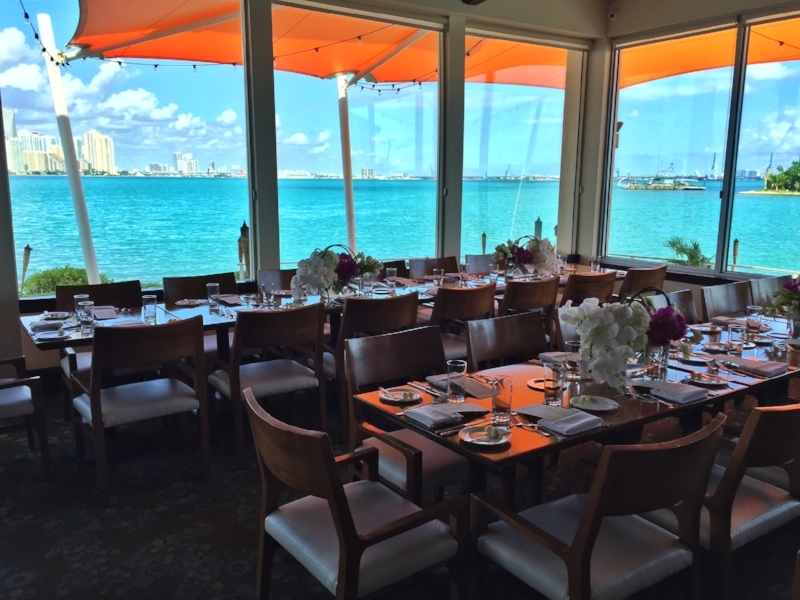 Located in the heart of Miami Beach's Sunset Harbour neighborhood, the eatery will be offering Lunch, Happy Hour and Dinner for holiday revelers with an approachable menu by Chefs Jeff McInnis and Janine Booth. Favorites like the Cobia Tiradito with avocado, crispy hominy and popped corn aji amarillo, cilantro and lime and variety of Po’ Boys filled with everything from oysters to fried green tomatoes are must-haves for Lunch. Dinner highlights include the Surf N’ Turf Burger with butter poached lobster, grilled beef burger and Bayleaf & Citrus Crusted Fried Chicken served with a watermelon pickle salad and Stiltsville hot sauce. Imbibe in 'Off the Hook' cocktails like the Sunny's Strawberry Sunset with Absolut Elyx, St Germaine, yellow chartreuse orgeat, lime juice and fresh strawberry or the Bikini Club with Don Q Anejo, Velvet Falernum, passionfruit puree, lime juice, and Peychauds bitters. 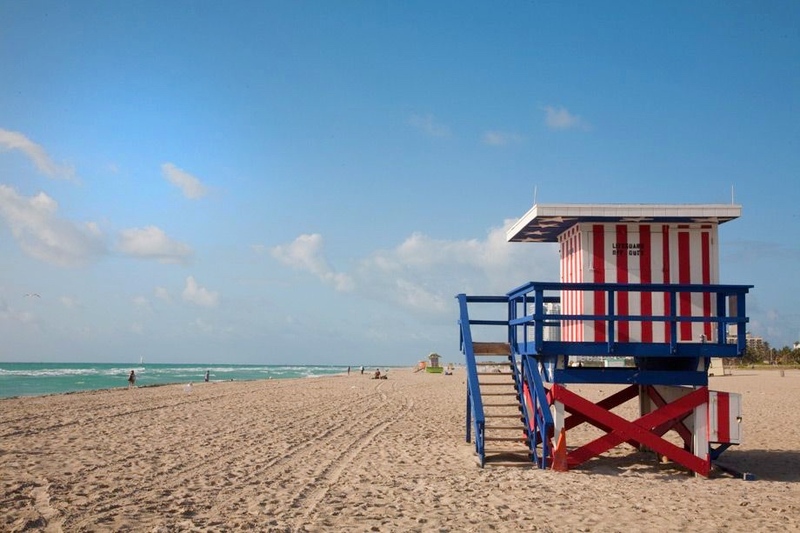 Come celebrate the Fourth of July with a relaxing stay at the Confidante Miami Beach. Located just steps away from the busy Collins Avenue, The Confidante is a playful oceanfront oasis in Miami's mid-beach neighborhood that combines the vibrant glamour of Miami's past with the sophistication and amenities of modern day. 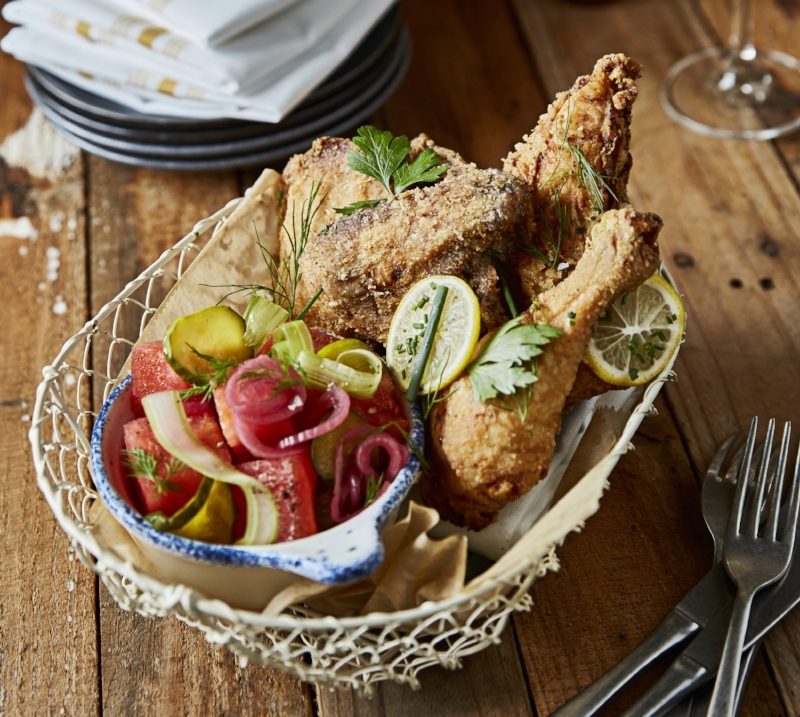 Guests can enjoy quality dining experiences in unique settings, including the Southern-inspired Bird & Bone, led by renowned Miami Chef Richard Hales, and refreshing poolside Cielito Artisan Pops, sold in The Backyard. Additional amenities include two heated swimming pools (one for adults only), private cabanas and bungalows, a full-service beach area, and lush tropical gardens. Celebrate the Fourth of July at Malibu Farm Miami Beach on Wednesday, July 4 with craft beers, BBQ and a breathtaking view. The popular fresh, organic, local restaurant offers the perfect beachfront location to catch Miami Beach’s annual fireworks show. Enjoy a special Independence Day themed menu featuring a $45 pre-fixed menu with mouthwatering choices including Caja China Tacos, BBQ delights from the pit master - think low and slow cooked brisket, smokey chicken thighs and Biscayne Bay Brewing x Proper Sausage Collab, and sides like Cous Cous ‘Mac n Cheese,’ Chard Corn and Broccoli Mashed. End things on a sweet note before the fireworks with their Summer Fruits Streusel and house-made Ice Cream and cheers to America’s birthday with an 8 oz. draft beer from Biscayne Brewing Company. Guests can also order any of the above a la carte as well as Pit Master Pizza topped with all of your BBQ favorites, Brisket Sandwich, BBQ Beet Sandwich and $5 Biscayne Bay Brewing ale’s as they take over Malibu Farm’s taps for the day. Watch the fireworks from Sugar, the 40th floor rooftop bar and lounge of the EAST, Miami, this Fourth of July. Guests can sip, savor, and take in the incredible panoramic views of Miami’s water and skyline as they enjoy Sugar’s exquisite Asian cuisine. The aloha roll, which is inspired by the state of Hawaii, is filled with ahi tuna, tempura flakes, sriracha, pistachios, and cilantro. It is sure to get your taste buds wanting more! For dessert, the traditional American banana foster cake is served with caramelized bananas and whipped cream, with a unique touch of anise. The views and flavors are bound to capture you on Wednesday, July 4.